This comes only 10 days after Marvel’s Kevin Feige suggested that the Inhumans movie was still possibly in the works, which came a few months after Marvel had pulled the movie from its schedule entirely. Basically, Marvel has seemed pretty unsure of what it should do with the Inhumans movie for a long time, so Marvel suddenly making it a TV show like this is pretty unexpected—as is the fact that it’s already in the works for a summer IMAX premiere. All of this gets even more interesting when we dig into what the Inhumans TV show will be about. 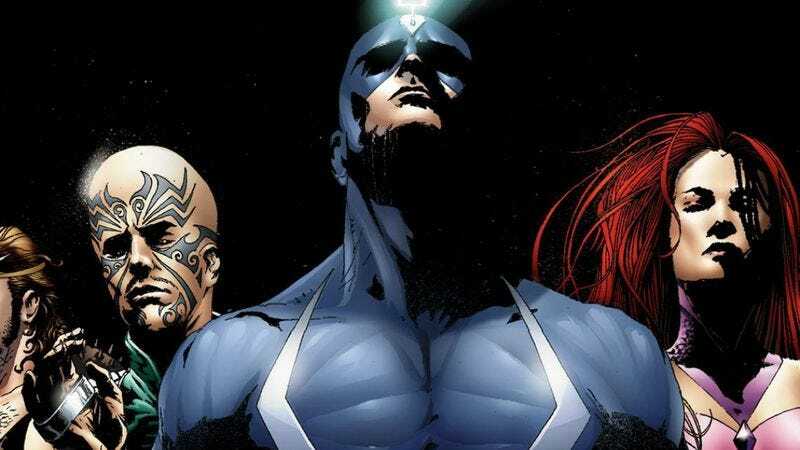 The Marvel site says it will follow “the never-before-told epic adventure” of classic Marvel character Black Bolt and his Inhuman royal family, but a Hollywood Reporter story says this TV show is “not the planned Inhumans feature film” and is also “not a spin-off of Marvel drama Agents Of S.H.I.E.L.D.” (which has been telling Inhumans-related stories for a few seasons). That presumably means that this is entirely divorced from whatever the movie was going to be, and also that it won’t necessarily tie in with the Marvel Cinematic Universe’s established Inhuman characters from S.H.I.E.L.D. like Chloe Bennet’s Daisy/Skye Johnson. That could indicate that Marvel is wary of the MCU becoming too unwieldy and is trying to introduce more stand-alone stories, but it’s hard to say this early.